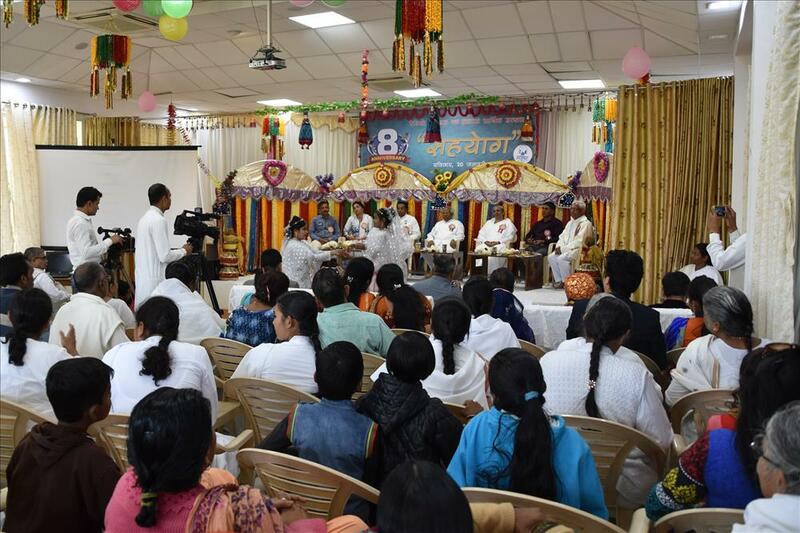 Shantivan, Abu Road, Rajasthan: Radio Madhuban, the only Community Media of the Brahma Kumaris, came into existence on 18th January, 2011. 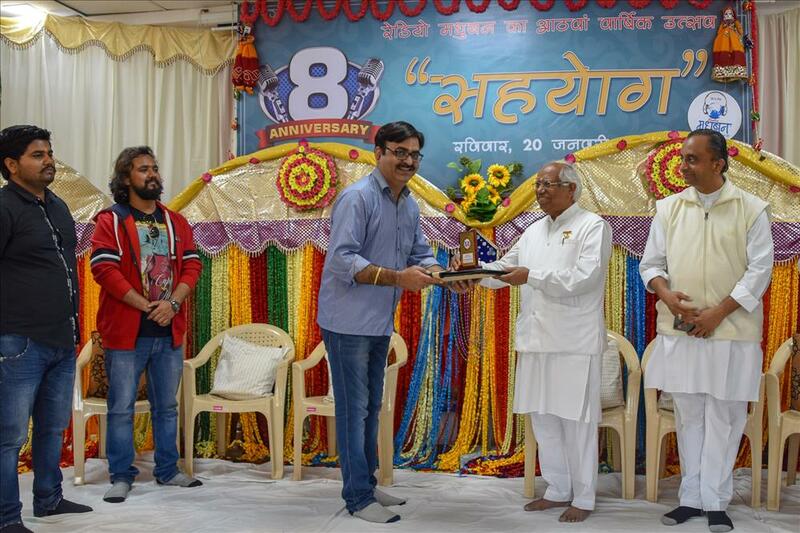 The 8th Anniversary was celebrated this year at their Head Quarters, Shantivan in Abu Road, Rajasthan. Every year the anniversary is celebrated with a special theme to follow. With the same objective this year, the theme is “Co-operation,” for which Radio Madhuban has decided to seek from local Communities. 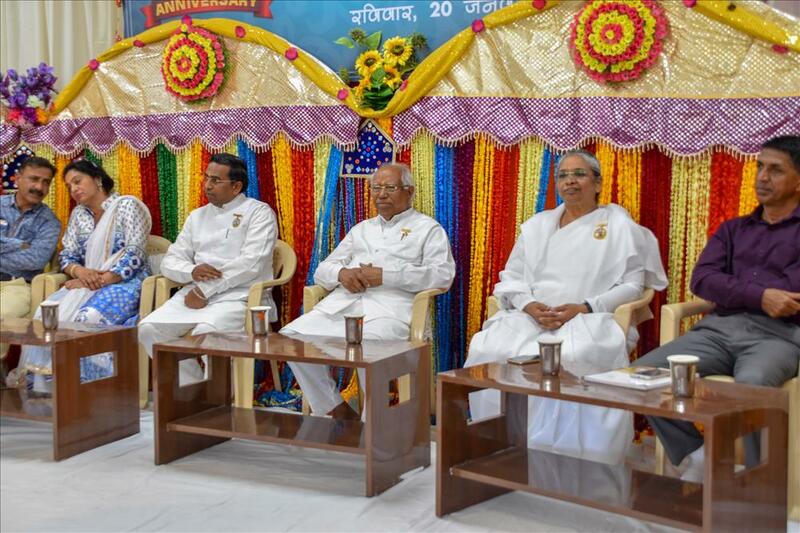 All their future programs will be centered on Communal Co-operation for the upliftment of Society, because it is very essential in every sphere of life. 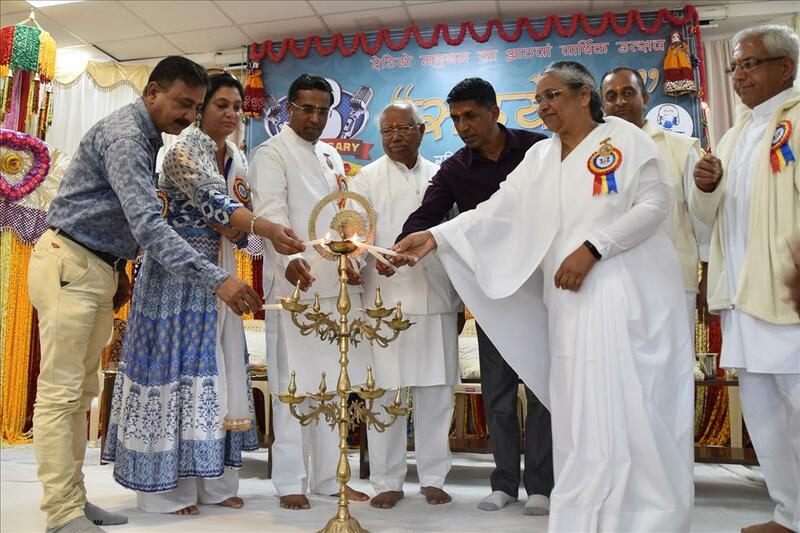 The 8th Anniversary celebrations commenced with enthusiasm and high spirits by lighting the lamps by the Honourable Guests who were welcomed onto the dais by Radio Jockey Shubhasri. Various colorful and inspiring cultural items were presented to make the function attractive which were directed by RJ Vishal in a unique and wonderful way. Children from the community performed dances so lovingly that spectators lost themselves while enjoying. There were Rajasthani and Folk dances. Some Solo songs were rendered. 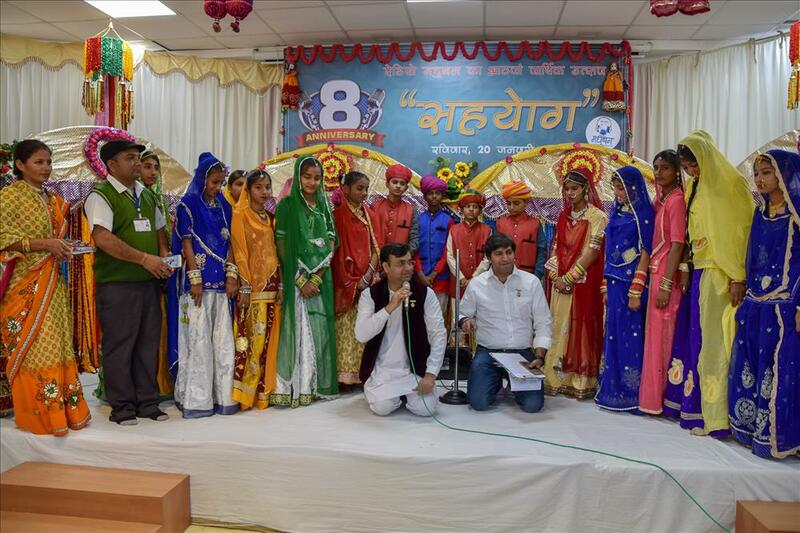 The young artists of Radio Madhuban, especially the junior Radio Jockeys, enacted a special playlet which was greatly liked by all. It was mainly to motivate people to become liberated from their addictions. The other participants were Model School, Revdar; Keshav Bal Vidyalay; Jagdish and K C Jinger, etc. All the artists were given prizes to encourage them. 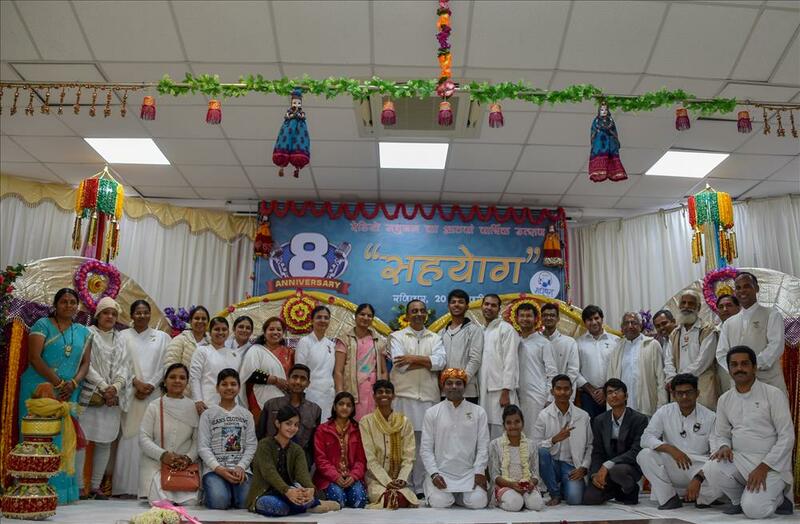 Radio Jockey Shubhasri spoke on the Importance of the “Power of Co – operation,” and the main event and all the special events were guided by her. Next BK Yashwant Patil, Radio Station Head, read out the details of the activities, conducted under his guidance, before the audience. The main attraction of the celebration was the presence of Radio Jockeys from different places in Rajasthan, including RJ Amit, RJ Ajay, RJ Anshuman and RJ Rahul, the Jockey of 92.7 Radio Big FM. All of them shared their own personal inspirations that made them a Radio Jockey. They highly praised all the programs broadcast by Radio Madhuban which involve the local people. 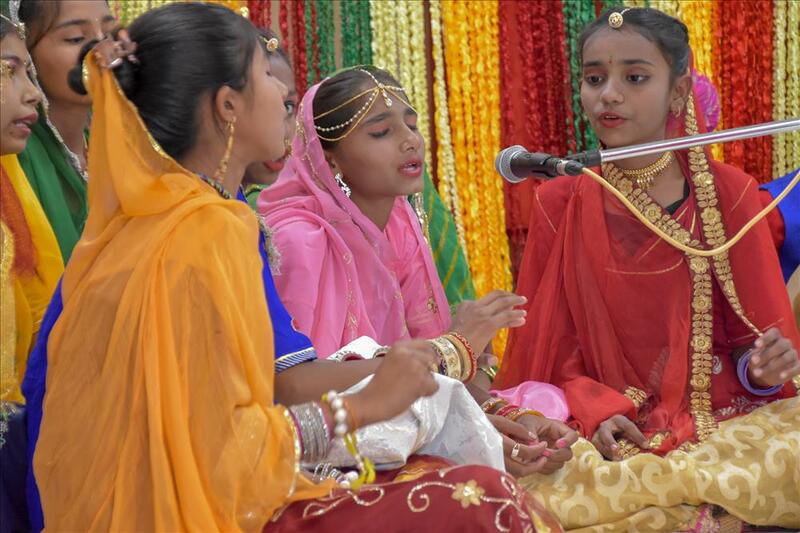 RJ Amit praised and encouraged the local communities to heartily co-operate in the making and broadcasting of the programs by Radio Madhuban who are acting with a noble cause. To keep the participants spirited, RJ Swarnalata conducted a Quiz Game for all, “Antara Suno aur Mukhda Panchano” which means “Listen to the Music and Make out the Song,” which was very entertaining. 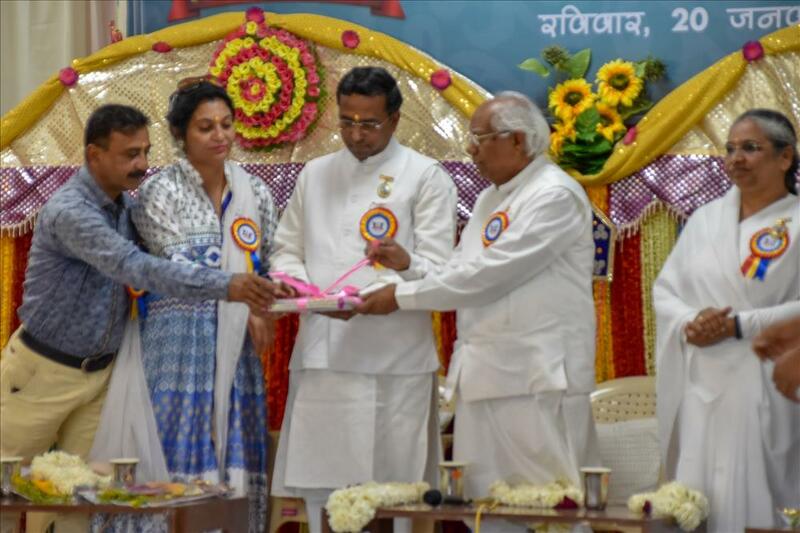 During the function, a Journal entitled “Community Outreach Service Report,” was released by the guests, containing the information of all activities performed by Radio Madhuban. Another book, “Arpan,” a collection of poems written by Radio Jockey Ramesh, was also released. After that a short Feature Film, “Kalyani” was also released by the guests, produced by Radio Madhuban and Om Shanti Productions. Special Guests of this occasion — BK Bharat, Chief Engineer of Shantivan; Mr. Poonam Singh, Block Education Officer, Revdar; Mrs. Kranti Rathore, Rajpatrit Officer, Samagra Shiksha Abhiyan, Abu Road; Mr. Virendra Trivedi, Block Co-ordinater (Literacy), Abu Road; and BK Manju, Senior Rajyoga Teacher — all inspired the audience, who came from different parts of the community. 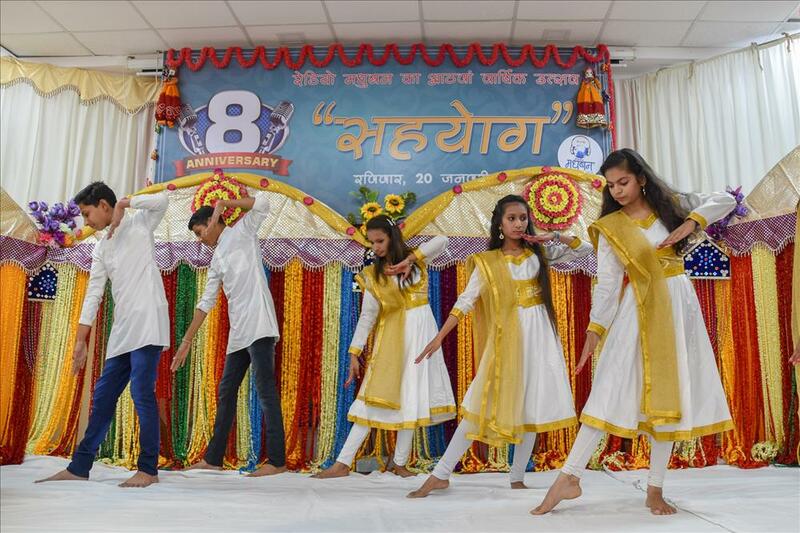 The 8th Anniversary celebrations came to an end after three hours of entertainment and enjoyment with the Goodwill gesture of Radio Madhuban, that it will continue to fulfill the aspirations of its Golden Journey, with full Co-operation of the locals, to uplift the community and to provide more and more entertainment to the society in the future.